In 2005 I was hired by SchoolDude as a Client Adviser. Growing up in the tech support and implementation side of the business, I gained a unique appreciation for the challenges and opportunities facing facility operations professionals at schools. In 2009 the Dude created a Success Management team, where I was fortunate to lead a small team responsible for engaging clients, assessing their opportunities, and helping to maximize their investment. In 2012 started wearing two big hats - Community Engagement Manager and Chief Data Dude. Today I'm very excited to be managing our Client Support team. My passion lies in leading this team of legendary support professionals, connecting peers in SchoolDude Nation, creating a valuable Community experience, and telling stories with data that inspire success in Facility Operations. The entry must be approved and published before comments can be posted. When it comes to managing the health, safety and comfort of students, school administrators have a tough job. Not only do they have to ensure the school's equipment is in proper working order, but it's also up to them to help keep students safe from possibly unforeseen issues - one of the most significant of these is allergies. 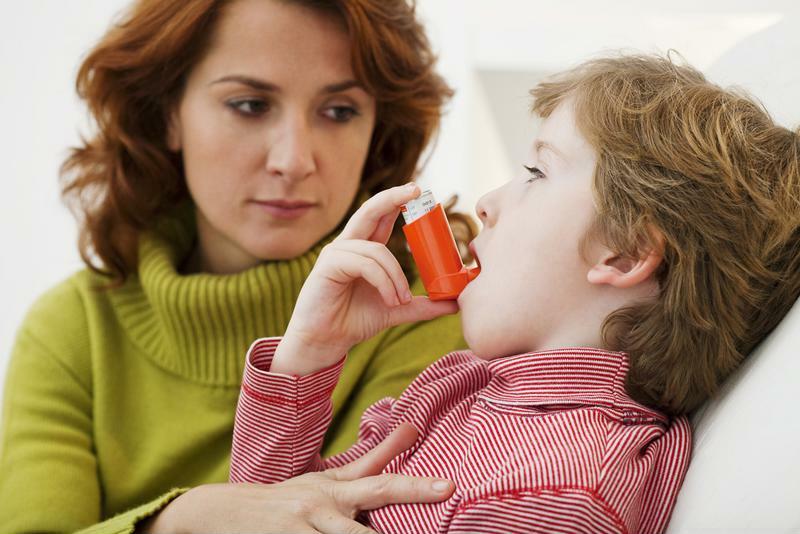 Of course, adults are prone to allergies as well, but reactions can be specifically dangerous in children. One of the most difficult aspects of allergies to manage in a school setting is the sheer number of things that can potentially exacerbate a dangerous allergic reaction. While you may not be able to eliminate every potential allergen from your school, here are some pointers to help you take care of some of the more serious problems. "Food allergy incidents alone have grown by 50% between 1997 and 2011." Whatever method you choose to control allergens in your school, be sure you're taking a proactive approach. In fact, allergic reactions in students have gone up sharply over the past 10 years or so. According to a report from Food Allergy Research & Education, 1 in 13 children have some form of food allergy, and 40 percent of these kids have experienced a dangerous allergic reaction. What's more, food allergy incidents alone have grown by 50 percent between 1997 and 2011, making it more important than ever to get a handle on keeping your schools safe. As an administrator, it's important to be informed of any students with potentially dangerous allergies. Not doing so can even result in costly legal expenses - one mother in Hamilton, Ontario, sued her child's school for discrimination when they wouldn't remove dairy products from the menu, the National Post reported. While it's your responsibility as an administrator to keep your students safe regardless of their allergy situation, that role depends largely on your ability to communicate effectively with parents. After all, if you're unaware of a student's allergy, you won't be able to keep him or her safe. You may even want to send forms home to each student before the beginning of the year so parents can identify any particular allergies their child may be susceptible to. This should also include information such as the severity of the allergy, emergency contact information, any prescription medication the child needs in the event of a reaction and other information that would be useful to administrators. Your staff should know how to identify symptoms of allergic reactions. Faculty should be able to identify allergy-related symptoms to best protect their students. Not all children, especially younger ones, will be able to tell teachers when they're reacting to an allergen, so staff should know what to look out for. For example, knowing the difference between a cold, which manifests over a period of several days, an asthma attack, which results in labored breathing and an allergic reaction, which can result in sudden breathing difficulties, sneezing and even swelling is important if educators want to get students the proper help they need as quickly as possible. Food allergies are among the most prominent for students, so you can do your part to keep them at bay by ensuring food is locked up and kept out of classrooms. If your school isn't a designated allergy-free zone, be sure to store potentially exacerbating foods such as dairy and peanuts away from everything else to avoid cross-contamination. Nut allergies can be especially sensitive, so you may want to consider eliminating them from your school's cafeteria altogether.